Our ultimate weight-loss formula of essential vitamins and minerals, caffeine, and the popular all-natural plant extracts Korean ginseng, kola nut, and cayenne powder — giving you unrivalled focus to achieve your weight-loss ambitions. Featuring Kola nut and cayenne powder, that help support weight-loss,1,2 THE Thermo-X™ packs a real punch with 160mg of caffeine per serving — making sure you’re always fired up4 and ready to progress. It also includes the essential vitamins B6 and B12, which help to reduce everyday tiredness5 — so you can power through the toughest workout and still feel your best. TeaCrine®: derived from theacrine, and similar to caffeine — delivering an energising boost when you need it most. BioPerine®: from the fruit of the black pepper plant, and popular in Chinese traditional therapies. 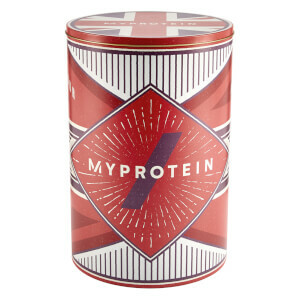 A highly popular ingredient, used by both athletes and casual gym-goers. L-Tyrosine: a popular pre-workout amino acid and precursor to adrenaline. 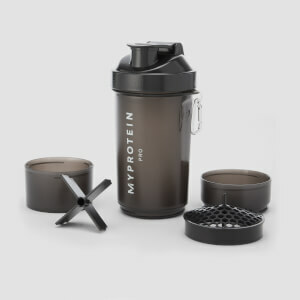 A great addition to any workout supplement to support your any fitness goals. 2. Cola nitida helps to support in weight loss programmes. 5. 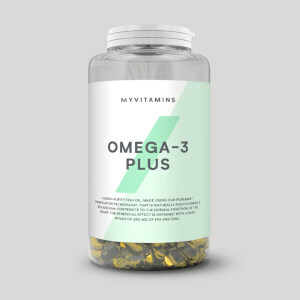 Vitamins B6 and B12 contribute to the normal function of the immune system, reduction of tiredness and fatigue, and normal psychological function. When to take THE Thermo-X™? We recommend taking two capsules 30 minutes before your workout — guaranteed to provide the ultimate kick-start when you need it most. What does THE Thermo-X™ work well with? 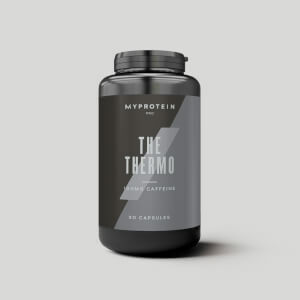 THE Thermo-X™ is the perfect kick-start to your weight-loss programme, but if you’re looking for a protein-packed boost you should try THE Whey™ — a unique protein blend delivering 25g protein per serving, that helps grow and maintain important muscle6 — important whether you’re looking to lose weight or tone-up. Warning: High caffeine content. Not recommended for children or pregnant or breast-feeding women. Contains 160mg caffeine per total daily serving. Do not exceed the stated recommended daily dose. This product should not be used as a substitute for a varied, balanced diet. Keep in a cool dry place out of direct sunlight. Suitable for vegetarians. Store out of the reach of young children. Guarana, Capsule (Hydroxypropyl Methylcellulose), Choline, TeaCrine® (Theacrine), L-Tyrosine, Caffeine Anhydrous, L-Theanine, Kola Nut (Cola Nitida Seeds), Ginseng Extract, Rice Flour, Cayenne Powder, Vitamin B12, Vitamin B6, Colour (E171), Bioperine® (Black Pepper Extract), Chromium. I tried a bottle before the name changed. It definitely helped me with my metabolism. I was full of energy all the time.